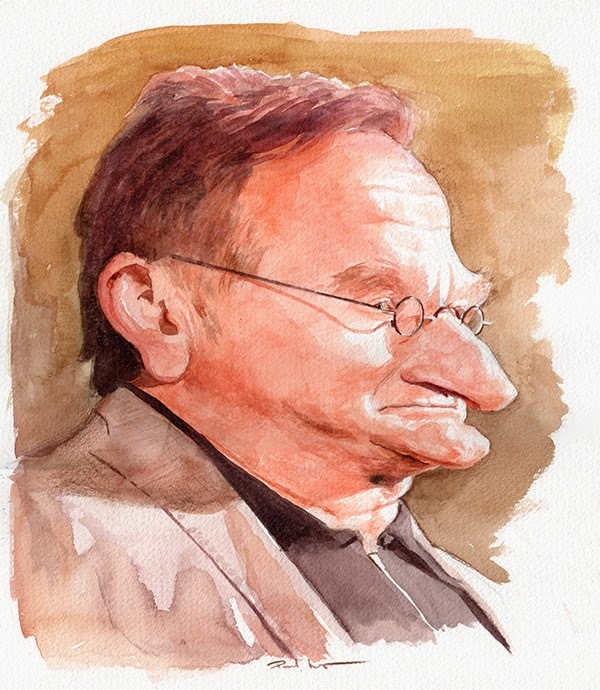 This is a sample of a critique from my course on advanced caricature at www.paulmoyse.com, where you can learn sketching, structure, exaggeration, likeness, colour theory, value studies, digital painting and much much more. If you're starting out as an artist, no matter which path you intend to follow, you've probably asked this question: "How do I become a better artist?". There are lots of great answers, but at the end of the day, generic answers such as 'draw every day' or 'practice practice practice' simply aren't enough. Bigger changes have to be made. The following list is based on things I've learned through my own experience and artistic journey (ongoing!). I hope the advice contained within is useful for those starting out or struggling with their technique or process. 1. Stop doing things to impress your mum and dad. Deep down in all of us, there's a child that wants to be praised by our parents. When I was three years old I drew a picture of my foot and when my dad saw it he went crazy over it. For years I wanted to recreate that moment, but at some point, I had to grow up. My point is that even though this was a big turning point in my life, I've moved on from that little boy who was looking for approval from his parents. If you like, you could say I've progressed onto seeking a wider approval. How often have you looked at that brand new sketchbook you bought and thought, 'hmm, I might just do a drawing in that at some point', only to pick up the controller to your Xbox One to complete that game you bought, or turn on Netflix and binge-watch every episode of every box set. And don't get me started on Pokemon Go! Good art needs focus and attention. A LOT of focus and attention. I'm not saying don't watch anything or play anything: I watch a lot of things, and I've been known to play the odd game, but generally, I get bored with games very quickly, and the times when I watch movies or TV shows are either when I'm painting (it has to be something I've seen before so I can listen more than I watch) or when spending time with my family. But when I was learning my craft, the times when I saw the greatest improvements, were when I wasn't playing any games or watching any shows and I took a sketchbook everywhere I went. Now I take my phone and sketch on that instead. 3. Break up with your artwork. The moment you finish a work of art, put it behind you. Even if it's the best thing you've ever done, you need to let it go and let others be the judge. You won't be able to start your next piece until you've let the old one go. Your heart will still be attached to it. It's kind of like a relationship (and probably the reason many artists suffer depression after they finish a painting). You have to end your relationship with that artwork and move on to the next. 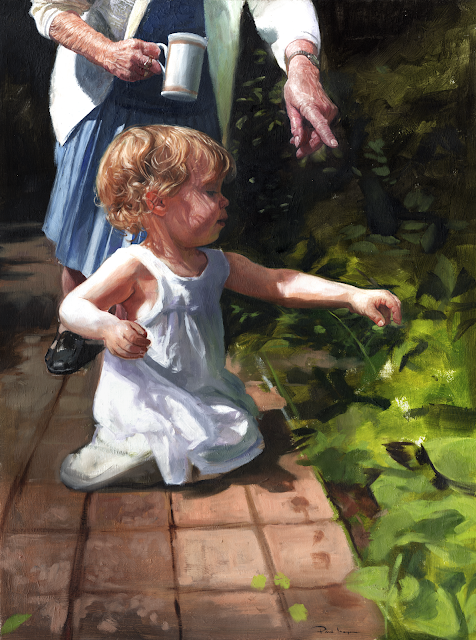 The new piece will sense that you're not really into it and will quickly tell you about it. Even if you didn't like the previous artwork, you'll still be thinking about how you could go back and fix it. Let it go. And also like a relationship, it can be ruined by possessiveness. You have to learn to walk a razor's edge between possessiveness and tolerance, knowing when to hold on and when to let go. Even though you will always maintain copyright of anything you create, you can't afford to think like that when it comes to your own emotional attachment to it. The artwork belongs to you, but it also belongs to a) the person who's going to buy it b) the person who commissioned it, or c) your fans who are going to see it for free online. If what you create matters to someone else, that's great. But the moment you hold an emotional attachment to anything from your portfolio, the thought will arise that you can't do any better. You will lose the need to create, to struggle, to aim for greater excellence. 4. Be ready to lose your art. This is a biggie. How, I hear you saying, can I lose something I've put so much care and attention into? What good would this do me? This harks back to my previous point, that we need to learn to let go of our art. What if it gets destroyed? How will I cope? It was irreplaceable, unrepeatable. 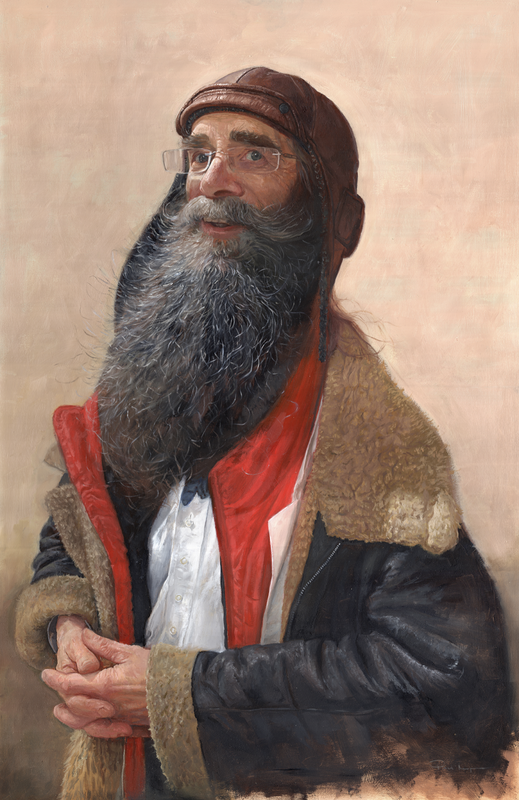 The truth is, good art should be repeatable. Not with a scanner or photoshop, but by the brush of the artist. That should be the mindset of a good artist. A good artist will only draw or paint with the knowledge that if it is destroyed, it can be recreated in the same, if not a better, way. Losing work can be painful, heartbreaking, traumatic. I have been through it many times, but ninety-nine point nine percent of the time, I have come out the other side with something better. Stephen King declares that we must 'kill our darlings', and the same is true for art. The moment we become precious about our work, is the moment we lose our focus. This isn't to say we shouldn't care about what we're doing. Quite the opposite. Going through the experience of losing artwork makes us care more about the next one. But there's a difference between caring and being precious. I'm not suggesting you go off and burn your entire portfolio, but we need to constantly experience that feeling of loss to move forward and understand our own art. There are lots of things that scare me, some more than others: heights (or rather falling to my death from them); tight spaces; other humans. But one thing I simply can't afford to be afraid of is making mistakes. The fear of this can be debilitating. I've seen it too many times! We are so desperate to impress that it rules our judgement and our choices, stunting creativity and productivity. There is also the other end of the scale, where someone is totally unafraid of making mistakes and plows through anyway, making as many mistakes as possible and happy to keep making them. The first stage to learning from your mistakes is to admit that you're making them in the first place. This means swallowing some humble pie and realizing that you weren't as great as you thought you were. The second stage is looking for a better way. Sometimes that presents itself without you having to do a thing. Those times are great, but if it doesn't come you have to seek out the answer. This can come from someone who's already been there, and through study. Study anatomy, study light, study form and values. Combining observation and practice will help lessen those mistakes. But to get there you have to swallow your pride, and that takes balls! Hi guys! Here is a new promo for my course. 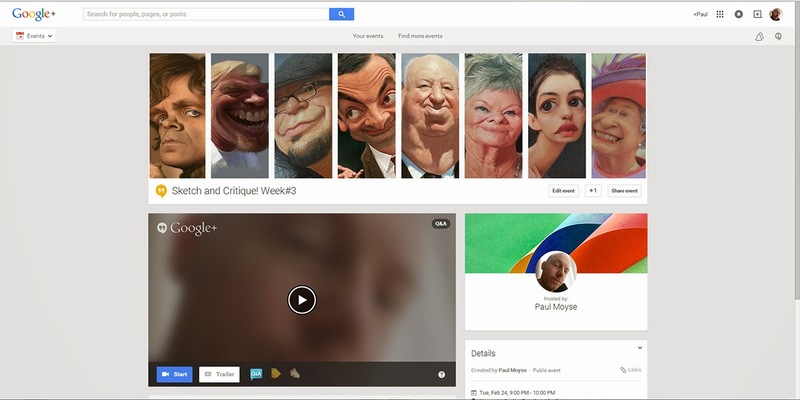 I have added a new feature: you can now choose how you want to receive your critique! You can have it live with me (and recorded) or pre-recorded if you're a bit shy. My thanks to Neil Davies for the designing the layout! 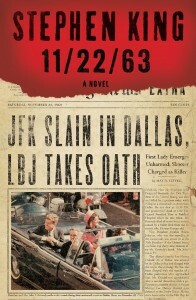 I recently read 11.22.63, knowing a TV adaptation was in the works, but when I finished the book I almost didn't want to see an adaptation. The movies are never usually as good as the book, the imagery we create in our heads is far more powerful and resonating. Having said that, here is some imagery, sketched by me, of Mr King. 11.22.63 has it's premiere on the 15th Feb 2016. This was made using a split-complimentary palette. 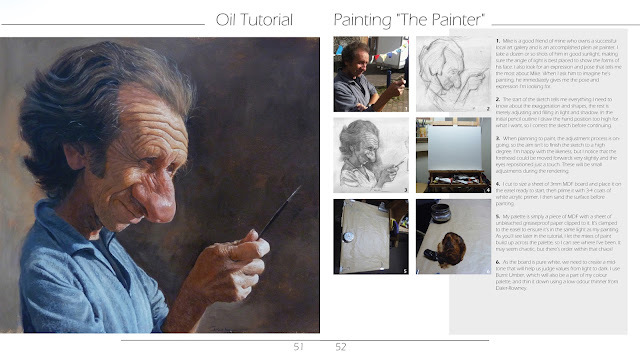 I go into more detail about using limited palettes, as well as pretty much everything I've learned so far (technique, sketching, structure, narrative, expression, digital and oil painting) in my classes at paulmoyse.com which are now OPEN! There are no term dates for my classes, all you have to do is register for a course or individual classes, and we can then discuss the date of your first lesson. Feel free to email me at pmoyse@hotmail.com, or leave a comment on this blog, to enquire further. 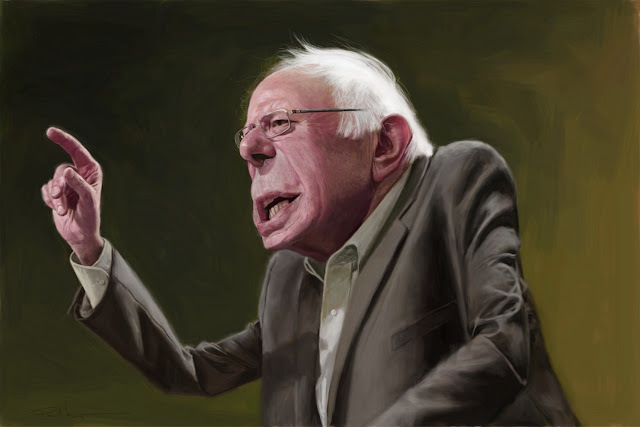 The Bernie painting above happens to be my first digital painting using the Open Source painting software Krita! And I have to say it was a pleasurable experience. Overall, it handles most jobs very well. The brush and zoom controls are very intuitive, and there are tons of customization options for the brushes. The only down side, if I were to compare side by side with Photoshop, as a painting tool, would be that Krita is a little glitchy. But these are very small glitches that can easily be lived with until there's an update, which they do regularly. 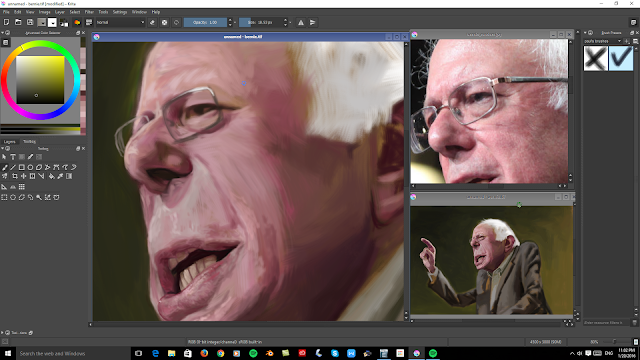 For a free, open source painting software, I highly recommend it! 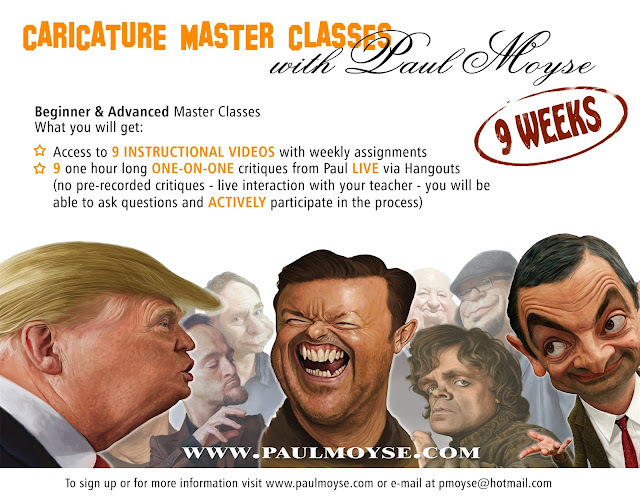 The masterclasses on my website are OPEN! For more information feel free to leave a comment or email me. Thanks! To request a critique of your work (I choose one piece at random each week), leave a comment on the event page, preferably more than a day before the broadcast is going to start, giving a link to both the work and the reference used to create it. I look forward to sharing my screen again with you next Tuesday at 9pm! Hi-Res Scan and Christmas Book Sale! Got lots of things in various stages of completion that I want to share, but for now here's a hi-res scan of a commission from a few months ago. 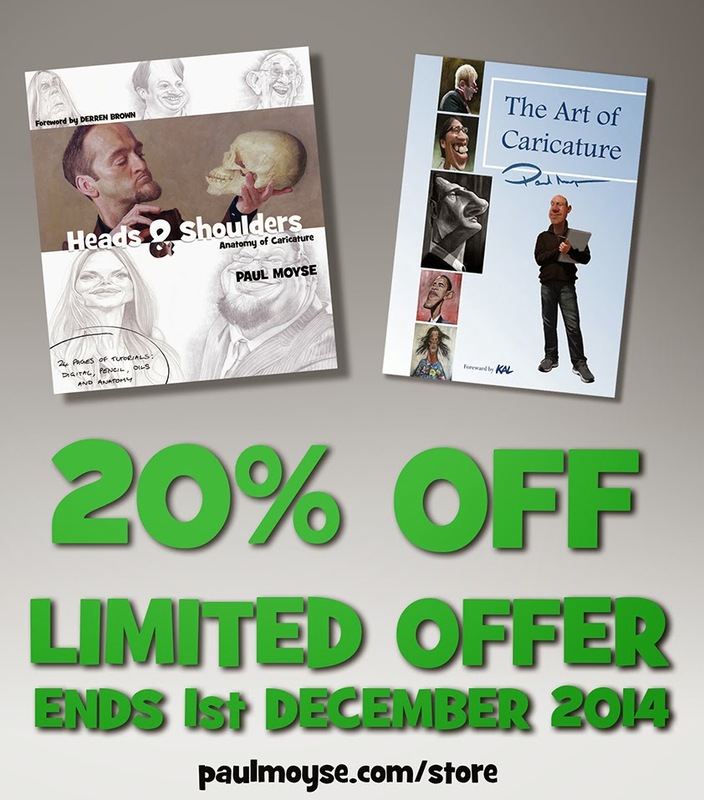 Also, there's a sale on all books at my store, ends 1st December! All are individually signed by the artist and delivered in time for Christmas! I'm returning to posting here because when I moved blogs, I realised I wasn't posting as much, so I guess I'm going to keep posting here in future! 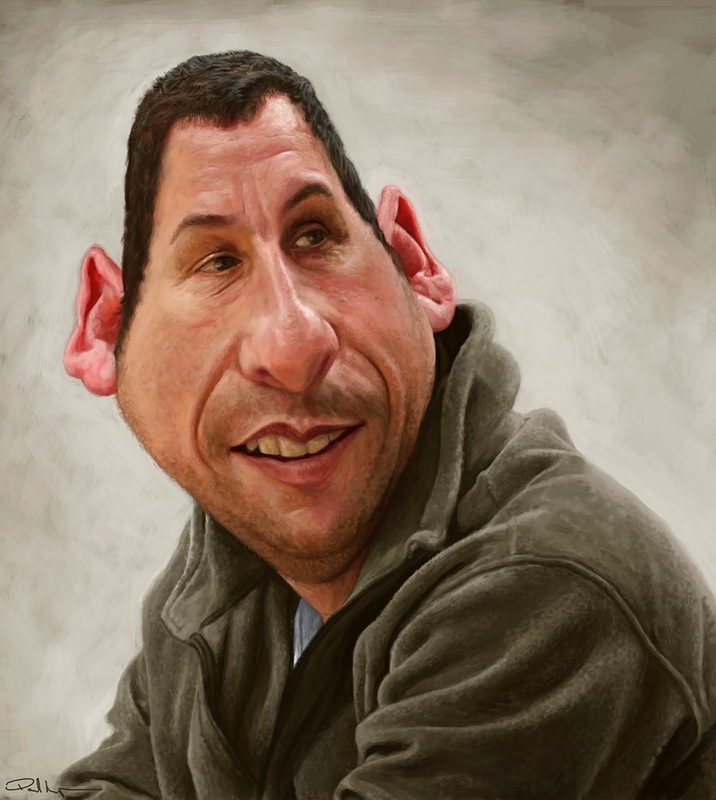 Been working on some new paintings and various other projects in the works, but for now here's a recent one of Adam Sandler I shared a week or two ago on facebook. Sketch o’the Week- Lena Headey x 2! #966 You GOT it ! Bunny Dee Blog is moving! Drink n Draw no more! Jan Op De Beeck's Blog! !